Ken Whisenhunt addresses Matt Leinart after Leinart took over for a concussed Kurt Warner against St. Louis last season. Darren Urban reported that Leinart himself admitted that he hadn’t spoken to Whisenhunt personally about the depth chart at the time these comments were made on Monday (8/30) afternoon, which is distressing. If Leinart was looking for an explanation as he claimed, he should have gone to the one man that could give it to him, Whisenhunt. It’s believed, therefore, that Leinart may have been upset that he wasn’t immediately switched back to the top spot after his solid performance on Saturday. At this point, it’s clear that Leinart believes he’s the best quarterback on the team. It doesn’t matter what he thinks, though. Ken Whisenhunt’s opinion is the one that matters. I, for one, completely believe that Whisenhunt puts the guys on the field that give the Cardinals the best chance to win the game. I don’t believe that Whisenhunt would bench Leinart simply because the two don’t get along. Maybe they don’t get along. There’s no way for any of us to know for sure. 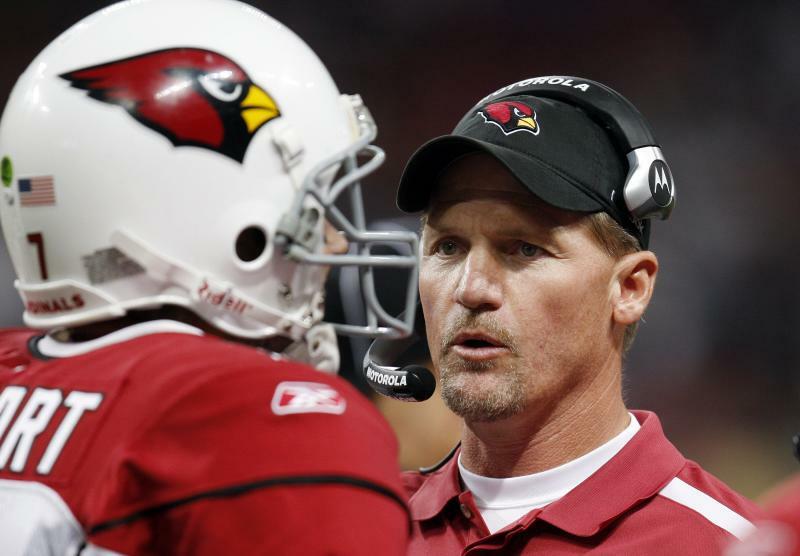 We do know, however, that Whisenhunt has been committed to winning since he came to Arizona. I doubt that would change over a possible personality conflict with Matt Leinart. After these comments, it seemed a meeting would come sooner or later since sentiments like these can’t be left out in the ether to fester and grow. Darren Urban reported that a meeting between Leinart and Whisenhunt did in fact take place later that same day the comments were made. No one really knows exactly what was said, but obviously the two addressed the comments, the quarterback situation, and cleared the air between the two of them personally. So now that everyone is playing nice, things should smooth out. Well, that’s assuming that Leinart will even be around much longer. 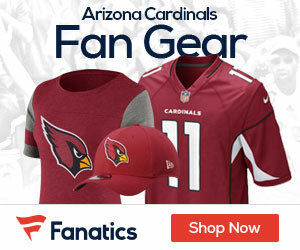 Rumors have started to swirl that the Cardinals may actually trade or release Leinart. NFL Network’s Michael Lombardi and Clark Judge of CBS Sports believe that Leinart should be seriously concerned about getting cut from the team. Judge stated that “people in and around the Cardinals’ ballclub tell me that the former No. 1 pick might be cut, not because he hasn’t completed a high percentage of passes — because he has — but because the players there have no faith in the guy and don’t believe they can win with him.” Similar whispers have been heard around the NFL universe, but whether they have any real merit is unknown. If the Whisenhunt and the Cardinals decide that Derek Anderson is a better “fit” with the team, the Cards could conceivably decide that it’s not worth carrying Leinart’s salary. Matt is due a base salary of $2.485 million and $7.36 million next year. In addition, both John Skelton and Max Hall have played surprisingly well during training camp and the pre-season (more on that later in this article). Cutting Leinart would presumably allow them to keep both Skelton and Hall, as well as some of the other surprising finds like Stephen Williams and Max Komar at wide receiver with the extra cash. That’s always dicey thing when you are talking about a rookie in a backup role. I have been impressed by how both those men have handled themselves through the camps, OTAs, training camp. The fact that Whisenhunt addressed having Skelton or Hall as the back up with such precision makes me think that Whisenhunt has at least considered cutting or trading Leinart. Whiz pretty much said that Hall and Skelton may have played themselves onto the roster due to their performances in training camp and the pre-season. This is certainly high praise considering how slowly Whisenhunt brings along rookies and in this case rookies in the most critical position on the team. Despite Whiz’ strong feelings for Hall and Skelton, neither will take the field as the Cardinals’ quarterback against the St. Louis Rams. If Whisenhunt knows who will be at this point, he’s not telling. Both Leinart and Anderson took reps during Monday’s practice and Whisenhunt would not elaborate on who took more with the first team. In addition, Whiz stated that both Leinart and Anderson will play Thursday against the Redskins, though a “starter” has not been announced. It’s possible that we may not know right up until the first game of the regular season, which should give us plenty of time to dissect, theorize, and debate.